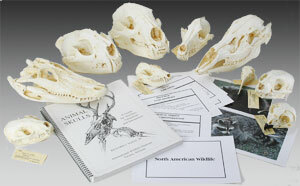 Skull sets are designed to give educators pre-made kits that allow them to be immediately put to use. 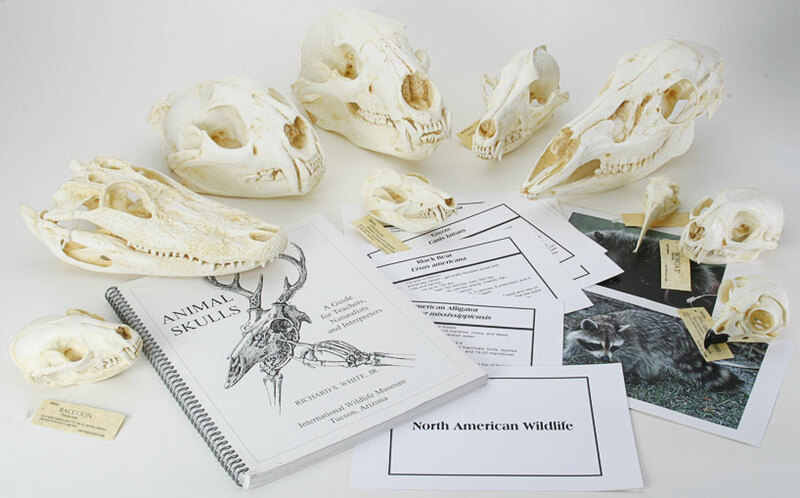 The skull sets come with an information card for each skull and also ideas and activities for using them in the classroom. By purchasing skull sets the educator receives an extra discount over buying the skulls individually. We have designed the kits to maximize diversity over a given topic. Ask about our educators discount. Kit can be customized to your region of the country, please inquire. This three skull set will help your students get a hands-on experience with the different tooth structures of diverse feeding adaptations. By allowing the students to actually touch and observe the skulls they will be able to get a deeper understanding of the variations. The skulls can be used as keys to unlock the concept of omnivore, herbivore and carnivore.